According to newly released concept art, Hulk was originally supposed to have a much larger role in Avengers: Infinity War. While he did make an appearance during the opening fight of Avengers: Infinity War, after being defeated by Thanos, Hulk refused his alter ego Bruce Banner’s (Mark Ruffalo) call to arms during the third act battle to stop the Mad Titan from wiping out half of the universe. While co-director Joe Russo has denied this was out of fear of Thanos, some fans still found it odd that the Hulk would refuse to take part in the biggest fight of the Avengers’ lives. It’s more than likely that the upcoming Avengers 4 will help make sense of Hulk’s weird Infinity War arc retroactively (even though it arguably helped Banner feel like a more important character in his own right) and complete a journey the character began in Thor: Ragnarok. 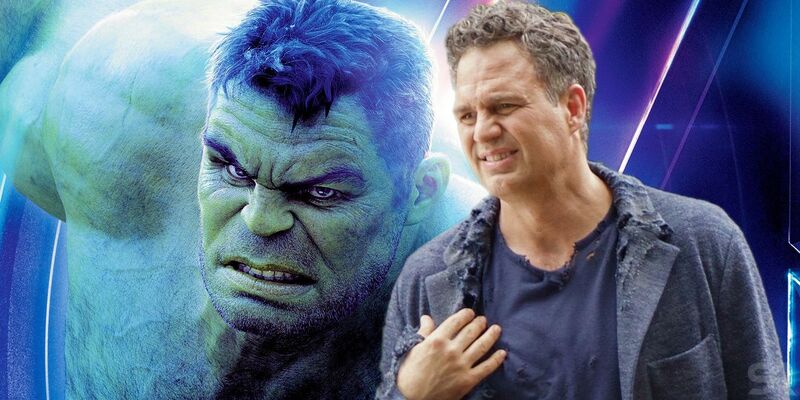 Still, there has been plenty of speculation that Hulk’s story changed from what it was originally supposed to be, and new concept art seemingly confirms this is true. According to concept art from the recently-released The Art of Avengers: Infinity War book, Hulk was at one point supposed to be a big part of the final Thanos battle. The piece of concept art, which is available below, shows Hulk – alone with Black Panther and others – grabbing hold of Thanos’ arms while Thor presumably goes in for the killing strike with Stormbreaker. The rest of the Avengers fight a large-scale battle around this scene. While this concept art definitely reveals that Hulk played a far bigger role originally than what was seen in Avengers: Infinity War, it also combines two battles that were in the finished product. While in the film, a small group of Avengers attempt to remove Thanos’ Gauntlet on his home planet of Titan (leading to the divisive Peter Quill scene), in the concept art, it seems that this originally happened on Earth. Though instead of attempting to remove the Guantlet, the Avengers simply hold Thanos back while Thor goes in for the kill. This certainly would have made for a more condensed version of the film, but the finished product is arguably smarter because it allows Thanos multiple opportunities to thwart the Avengers’ efforts to stop him and resulting in a more compelling villain. Still, it probably would have been more satisfying for fans to see Hulk go toe-to-toe once again with the Mad Titan and get some semblance of revenge. Though with Avengers 4 releasing soon (Marvel Studios just started an Avengers 4 countdown clock for the film’s release), perhaps the Russo Brothers were smart to hold off on including too much of the Hulk in Avengers: Infinity War.